As we prepare for the upcoming Christmas break we would like to share with you some important information about upcoming events at St. Joseph. Tuesday December 18th: Turn down the heat & wear a sweater! 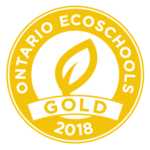 Our EcoSchools team will be conserving energy on this day by dropping the temperature in the school by 1-2 degrees Celsius. All staff and students are encouraged to wear an extra layer while we do our part to protect the planet. Staff and students will be celebrating our Advent mass with Father Peter at St. Joseph. We are looking forward to sharing our faith journey as we celebrate the birth of Jesus. We will be hosting an Open House from 9:15am to 10:00am in our Kindergarten to Grade 6 classrooms. Parent/ guardians are invited to join the class for a Christmas activity (e.g., Christmas craft, sing along, read aloud, etc.). students will be going outside for morning recess from 10:00am to 10:15am followed by a snack. parents/ guardians are invited to join us from 10:30am to 11:30am for our Christmas Concert in the gym (doors will open at 10:15am as teachers need time to prepare the space while students are outside for recess). Each class will perform a song, and students will be going back to class when they are finished their performance. All students will be part of a dress rehearsal this week so they can see the entire concert. We do not have space in the gym for students to stay after their performance on December 20th. Don’t forget to wear your Christmas hat, antlers, bells and share your Christmas spirit! make sure your PJs are warm enough to head outside for recess!